Fighting climate change is a moral imperative that requires leadership and a clean vision for our nation’s energy future. NASA recently released data showing that the Earth’s surface temperatures for 2015 were the warmest on modern record. It is clear that the threat of climate change is no longer a theory but a clear challenge to our society, national security, and way of life. For more than a generation, California has been leading the charge for innovative solutions that tackle the threat of climate change. Recently, our Public Utilities Commission issued their preliminary decision, which establishes a clear commitment to making solar energy accessible and affordable to all Californians. Now is the time to finalize these critical rules for rooftop solar to provide certainty to businesses and consumers. Sadly, many long-time polluters are trying to divide our community over this issue, but we cannot allow that to happen. We must stand, united, for a more sustainable future that includes green energy access for all. Consumers deserve clarity as they consider the solar option. Our state must commit to strong net-metering policies that allow homeowners to sell their excess energy back to the utility. The utility can then sell this clean energy to other customers instead of generating more power from carbon-emitting power plants. With strong rules that protect consumers and reward them for using solar power, California will continue to lead as we transform the future. According to the Solar Energy Industries Association, solar customers can save an average of 10 to 20 percent on their energy bills. Going solar puts money back in the family pocket while reducing carbon emissions. As we continue to expand access to solar, we must ensure that no community is left behind. In Congress, I joined Congressmember Tony Cardenas in introducing the Low-Income Solar Act (H.R. 3041), which provides loans and grants that empower low-income families to live more sustainably and save money by installing solar panels on their homes. The benefits of solar energy are clear. It creates jobs and reduces carbon emissions. It also helps prevent the emissions of dangerous chemicals into the air — including sulfur, mercury and coal ash — that we breathe. Tragically, there is a long history of power plants being zoned in our poorest neighborhoods, often neighborhoods that are predominately people of color. As a result, a disproportionate number of African American and Latino families live within thirty miles of a power plant. This proximity has resulted in well-above-average rates of asthma, bronchitis, and other respiratory disorders. We simply cannot continue with the status quo. Far too many families, especially families of color, have suffered the health cost of dirty energy. Expanding solar energy generation will reduce pollution and start to turn the tide against these diseases. This will help keep kids and families healthy while providing them access to the cleaner energy they deserve? It’s past time to make solar affordable and accessible for all communities. The next major step in this process is finalizing California’s net-metering rules, which will provide a foundation to build the solar future. This is California’s opportunity to continue leading. We must act now. 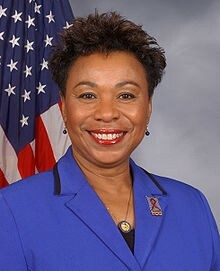 Congressmember Barbara Lee represents the East Bay in the US House of Representatives. She is a member of the Appropriations and Budget committees. Previously, she served in the California State Senate and Assembly.